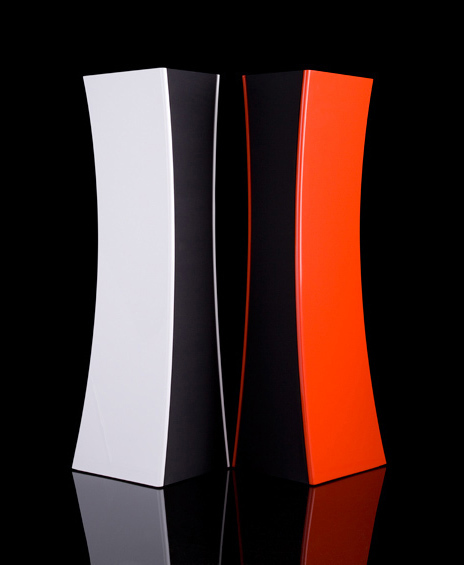 ICARUS is a highly innovative loudspeaker in all its features. The cabinet is made of 100 percent recyclable PMMA (polymethyl methacrylate). Its smooth contour endows the frame with an astonishing resistance and helps reduce internal acoustic resonances. The fabric protecting the drivers also aims to optimize the acoustic and aesthetic outcome. An elegant pattern of sliding foldaway guides allows for its installment and removal, and this further prevents undesirable refractions and vibrations. The circuits employed in ICARUS were born from the know how of the DOGMA system and the loudspeakers were selected for their high levels of performance and reliability. The electronic equipment is furnished with patented components, while the crossover is enclosed in a ‘black box’, which is the hidden guardian of the magic ClaraVox sound.